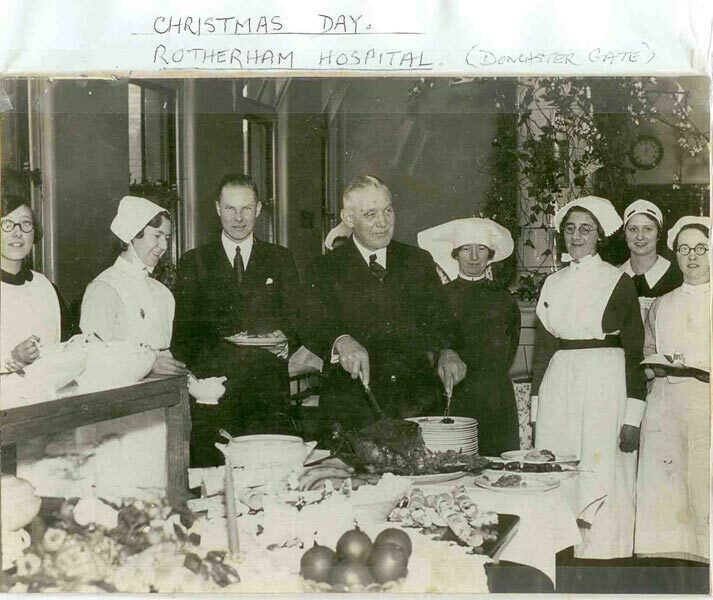 Working life at Doncaster Gate Hospital encompassed more than just the medical staff; it also included full time estates and portering staff who kept the hospital running smoothing. 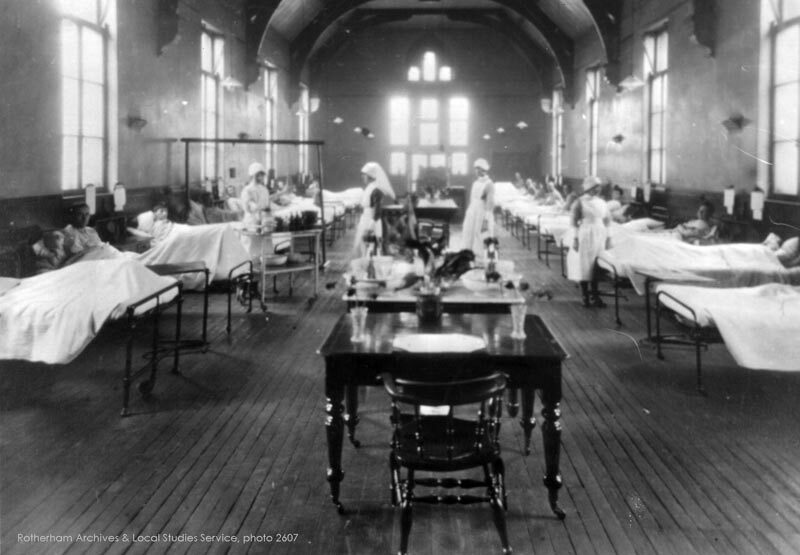 Moreover, there were also workmen brought in from time to time to undertake specific jobs. Below is an extract from one of the painters & decorators and his memory of working at Doncaster Gate. “I arrived with my colleagues at 9am in paint splashed overalls; we were employed to paint the whole of one ward in that one day. 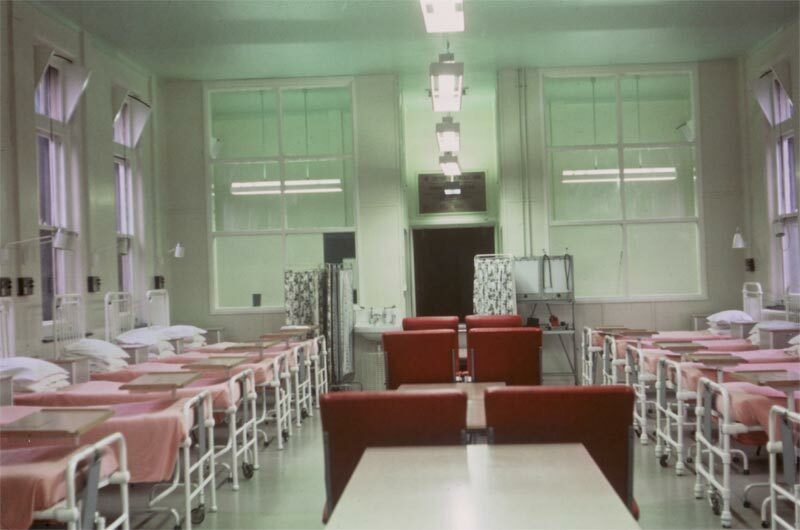 The first job of the decorators was to physically push all the patients in their beds and their lockers to one end of the ward; and pack them together as close as possible to maximise the clearance of the ward. That done we then proceeded to bring in the pieces of scaffold need to reach the high ceiling. The scaffolding was made of wood, it was normally stored outside and was used to access the exterior of buildings; it was extremely dirty! The scaffolding was quickly assembled like a wooden meccano set, it was completely mobile have two six inch diameter casters on the base. 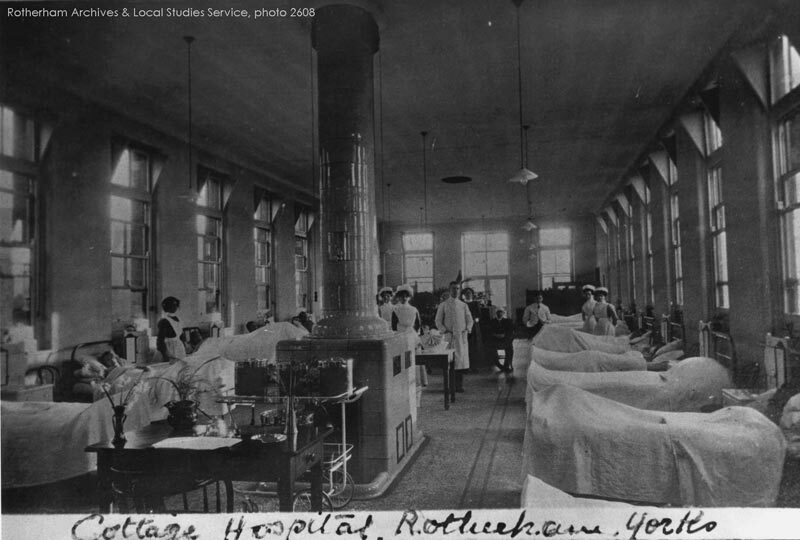 The patients appeared to enjoy this activity. I suppose it made a change from the every day monotony of their normal routine. Scaffolding erected it was time to start the painting. Four of us climbed to the top of the platform with their paint & brushes, and the other two (I was one of them) stayed at the bottom to move the scaffold forwards and sideways when the men on top needed access to the next piece of ceiling. 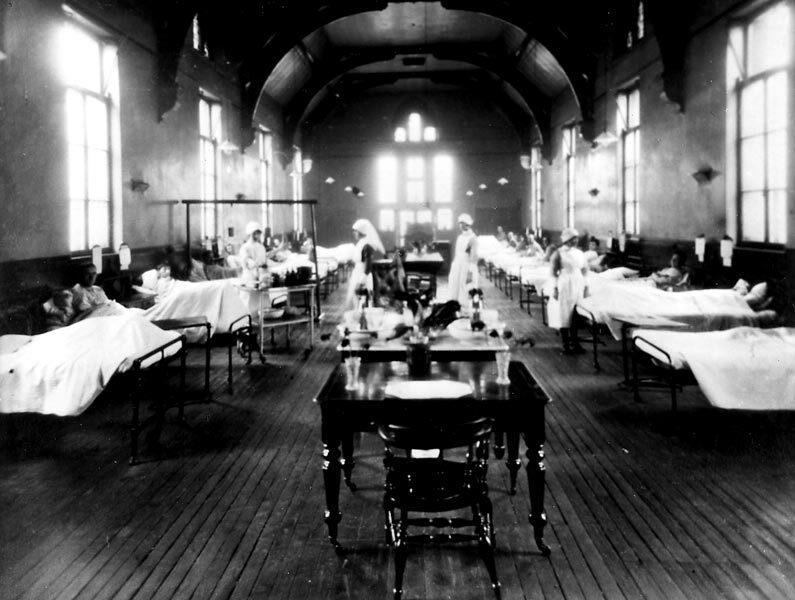 Half of the ward done the six painters proceeded to manoeuvre all the patients; still in their beds, & their lockers, around the scaffold to the opposite end of the ward, this done the remainder of the ceiling was done.